Firstly it must be realised and acknowledged that SIFF is put under administration by FIFA who subsequently appointed the Normalising Committee comprising of the following members Ian Shaw (Chairman), Adrian Wickham, Primo Afeau, Henry Kapu and Barnabas Anga. Its mandate in a nutshell is to stabilise the financial and administrative operations of SIFF following the collapse of the former administration in 2012/13. This is specified in a road map of operations that is closely monitored by FIFA and OFC. One objective is to appoint an accounting firm as fiduciary for SIFF and this has been achieved. This will promote accountability and ensure that SIFF’s finances are properly run and administered as per the professional standards and regulations of FIFA. Another is the reorganisation of the SIFF administrative structure and the process is ongoing in this area with much ground already covered. International participation, debt servicing and the reinstatement of a constitutionally elected SIFF executive committee are amongst other objectives for the Normalising Committee. Thus, it must be realised that the Normalisation Committee is dealing with a multi-pronged problem and must do so with the uttermost care for the sustainability game wide – technical development, competitions and international participation, administration and finances. Secondly, the Normalising Committee is not a one-person body but is composed of prominent Solomon Islands leaders under the chairmanship of a FIFA appointee. All decisions governing the administration of SIFF since October 2013 are made by this Normalising Committee as a whole and not by a single person. It is incorrect to assume or make statements that this institution is run in a dictatorial style. Thirdly, on the matter of the participation of Solomon Islands in the OFC -19 Championship the Normalising Committee has not made a decision at this point. 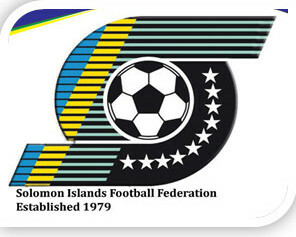 With the responsibility to properly manage the finances of SIFF the Normalising Committee is carefully considering all options to l ensure the future of football in Solomon Islands is secure whatever course is taken. Therefore, any statement saying that a decision has been made by the Normalising Committee is false and misleading. Additionally, any decision made on the matter will be a collective one made by the Normalising Committee as a whole. When a decision is taken the public will be informed accordingly. In conclusion, SIFF has always welcomed public discussion on the management and future of the game and continues to do so. For the sake of the game, however, SIFF is appealing to all Solomon Islanders to refrain from publishing or spreading information that is not correct or accurate, especially false and misleading information about individual persons. If you have any doubts or queries, please contact the SIFF office for first-hand information.